We wouldn't allow “no-go” areas to happen. I smell extreme intolerance when people criticise multiculturalism without proper evidence of what has gone wrong. 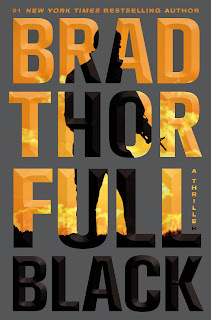 Brad Thor is the perennial New York Times bestselling author of eleven thrillers. His extensive real-world knowledge of espionage, covert special operations and terrorism caught the attention of Homeland Security, who invited him to join their “Red Cell” Program of writers commissioned to brainstorm on terrorism scenarios. The plot of Thor’s latest, Full Black, revolves around a planned wave of dramatic terrorist attacks designed to cripple America and pave the way for a socialist utopia. It’s an action-packed page-turner to literally the very last line of the book, pitting Thor’s hero Scot Harvath against Russian hitmen, Muslim suicide bombers, and a radical Left terror financier. But it’s more than just beach-read escapism; it’s also a forceful defense of capitalism, freedom, and American character. 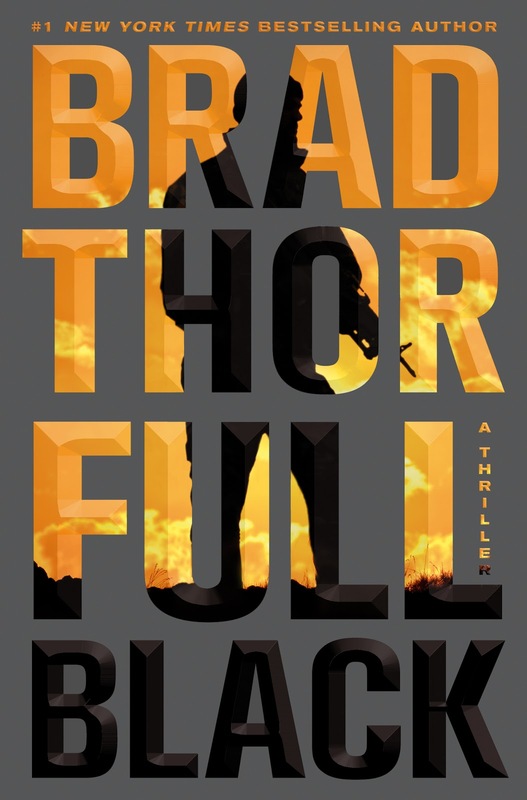 Mark Tapson: Full Black is your tenth novel to feature your protagonist Scot Harvath, an ex-Navy SEAL turned covert counterterrorism operative. What is it about Harvath that you think resonates with so many readers? A number of outspoken celebrities have boarded the pro-Palestinian bandwagon recently to wage a “cultural intifada” against Israel, principally from among the music world, with such notables as the band Coldplay and singers Annie Lennox and Elvis Costello refusing to perform there. When celebrities of this caliber cancel events in Israel over its human rights record they help to reveal Israel's true face as a state practicing occupation, settler-colonialism and apartheid and contribute to challenging Israel's impunity and infringement of international law. In a predictably one-sided recent opinion piece ironically entitled “Seeking Balance on Mideast,” New York Times columnist Nicholas Kristof took Congress and Israel to task for their “obstructionism” against Palestinian statehood. If only Washington would “adopt a more balanced policy” and Netanyahu would soften his “intransigence,” then the stalled peace process could finally move forward toward Israel’s utopian coexistence with the Jew-hating, genocidal Hamas and Palestinian Authority. In fact, Kristof, as usual, has it completely backward. Such Congressional tomfoolery bewilders our friends and fritters away our international capital. It also encourages the intransigence of the Israeli government of Prime Minister Benjamin Netanyahu and reduces the chance of a peace settlement. 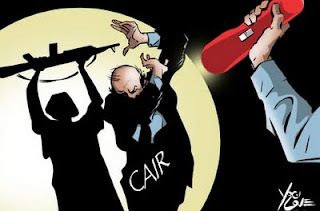 In the ‘90s, CAIR successfully marketed itself as the largest advocacy group for Muslim-Americans, shrewdly linking its mission to that of the civil rights movement. “We are similar to a Muslim NAACP,” winked spokesman Ibrahim Hooper. But the group’s aims seemed less about civil rights and more about intimidating people into silence. Wherever there is a critic of radical Islam to be smeared or a frivolous lawsuit to be pursued (remember the Nike logo lunacy? ), CAIR is there. The group even managed to simultaneously lecture American law enforcement on how to tiptoe around the Muslim community while lecturing the Muslim community on how to stonewall law enforcement. And probably most significantly, it positioned itself as the media’s go-to spokesmen for all issues Islamic, making their message the only one disseminated. 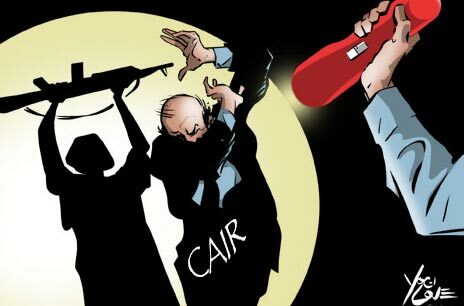 But now CAIR has been embarrassed by a new survey which reveals that nearly 90% of American Muslims don’t feel that the Muslim Brotherhood front group represents their interests. 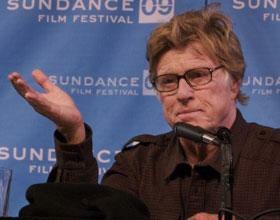 Earlier this year Robert Redford – former Hollywood heartthrob, founder of the Sundance Institute, and a progressive activist with connections to the leftist puppetmaster George Soros – released his first film as a director since 2007. The Conspirator was his thinly-veiled attack on Bush’s war on terror posing as a docudrama about the assassination of Abraham Lincoln. Now Redford seems poised to turn the lens of his historical revisionism on a whitewashing of the ‘60s and ‘70s domestic terrorists of the Weather Underground. This is an edge-of-your-seat thriller about real Americans who stood for their beliefs, thinking they were patriots and defending their country’s ideals against their government. 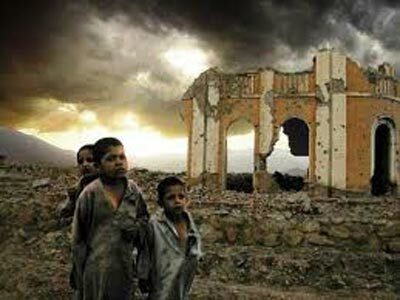 “The test of the morality of a society,” wrote theologian and anti-Nazi activist Dietrich Bonhoeffer, “is what it does for its children.” Or more significantly, what it does to them. For example, just when you think the Taliban couldn’t set the bar of subhumanity any lower, reporter Michael Yon, embedded with American troops in Afghanistan, reports on two instances of shocking Taliban cruelty, directed at children, that have enraged local Afghans themselves. First, the Taliban kidnapped the son of a man who refused to turn over a police vehicle to them, and tortured the 8-year-old before strangling him to death (not that this is especially atypical of the Taliban; in early June they hanged a 7-year-old Afghan boy accused of being a U.S. spy). Next, an even younger boy was forced to step on an experimental Improvised Explosive Device (IED) to test it. His leg was blown off below the knee. Locals brought the boy to a nearby American base, where he and his father were loaded onto a helicopter to Kandahar Airfield for medical care (because that’s what Americans and Israelis do: instead of torturing and murdering children, we heal them – even the children of our enemies). Yon asked the Taliban spokesman about it, and he predictably dismissed the story as “enemy propaganda.” But Yon has a military report on the incident which includes pictures of the boy’s wounds, and outraged villagers were witnesses.